Borussia Dortmund and Real Madrid played out a thrilling 2-2 draw in their Champions League Group F clash at the Westfalenstadion on Tuesday night. Cristiano Ronaldo gave the visitors a 17th-minute lead with a close-range finish for his 95th Champions League goal, before Pierre-Emerick Aubameyang levelled matters two minutes before half-time. In a pulsating second half, Raphael Varane appeared to have given Real a maiden win at Dortmund with his first-ever goal in the competition, only for substitute Andre Schurrle to equalise late on with a thunderous finish. That draw leaves both sides level on four points at the top of the group, a point ahead of third-placed Sporting Lisbon, ahead of their return meeting in the Spanish capital on Matchday Six. Get a NOW TV Week Pass for Â£10.99. No contract. Contrary to expectations, Ronaldo started in attack for Madrid, despite the Portuguese having been taken off against Las Palmas on the weekend, with boss Zinedine Zidane saying fatigue was the reason for his withdrawal. The home side, meanwhile, received a massive boost of their own after Aubameyang was passed fit to lead the line, although Marc Bartra was still missing through injury. And right from the kick-off, the game was played at a furious pace in front of a rocking Westfalenstadion, with both goalkeepers called upon to make early stops from long-range free kicks. Dortmund No 1 Roman Burki had to be on his toes to push to safety Ronaldo's well-struck effort from 30 yards out, before opposite number Keylor Navas produced an even better stop to keep out Gonzalo Castro's goalbound effort moments later. However, it was not long before the visitors - who had never won at Dortmund, losing on their previous three visits to the Westfalenstadion - opened the scoring, albeit slightly against the run of play. 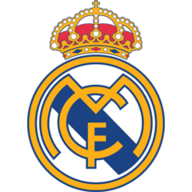 Los Blancos launched a swift counterattack involving the likes of Toni Kroos, James Rodriguez and Gareth Bale, whose clever back heel in the box created a chance that Ronaldo was not going to miss from close range. The home team's response to falling behind was typically aggressive, with Ousmane Dembele and Sokratis Papastathopoulos both going close, before they deservedly drew level in bizarre circumstances just before the break. Raphael Guerreiro fired in a 25-yard free kick that Navas elected to punch clear, only for the ball to strike Varane on the back, before falling straight at the feet of Aubameyang and the Gabon international could not miss from virtually on the goal line. The second half was played at the same pace as the first, with Dortmund doing most of the pressing, while Madrid remained a constant threat on the break. Again it was the holders who went back in front against the run of play after working a left-wing corner short between Kroos and Ronaldo midway through the second period. The Portuguese then swung in a cross towards the far post from which Karim Benzema hit the inside of the post, with Varane in the right place to convert the rebound. 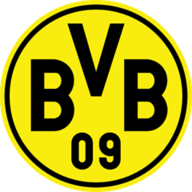 If Madrid believed they were about to finally end their Westfalenstadion hoodoo, though, they were mistaken as Dortmund went all out in search of another equaliser in the final quarter of the contest. The increasingly busy Navas was called upon to deny Aubameyang, Schurrle, Christian Pulisic and Emre Mor in the closing stages, before the home team got their just rewards. Substitute Pulisic broke clear down the right, before delivering a cross towards Aubameyang, whose attempted overhead kick did not come off. However, the ball fell nicely at Schurrle's feet and the Germany international finally beat Navas with a well-struck shot into the top left-hand corner of the net.